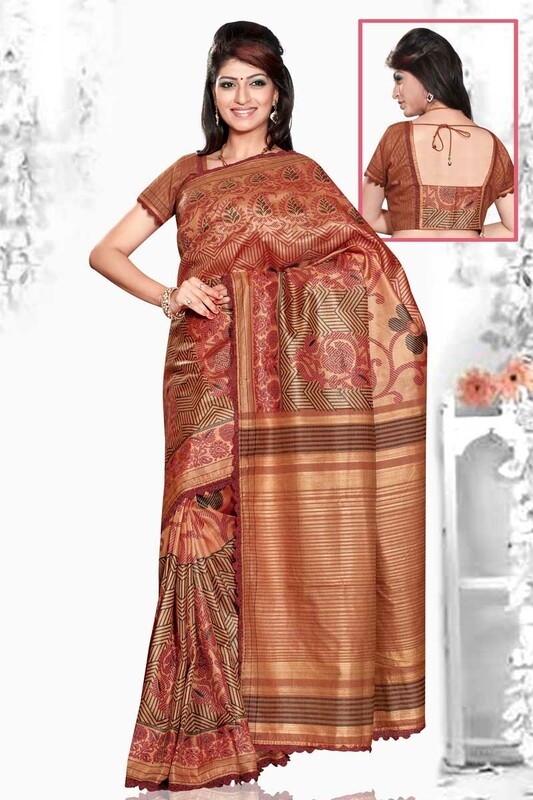 Tussar Silk Saree with block print. Rust color body with block print. Falls stitched- Sold with designer ready to wear adjustable blouse.